Known in the past by a variety of names (‘accessory apartment’, ‘coach house’, or ‘granny flat’), ADUs have become especially popular in hot housing markets or urban centers in areas that lack affordable housing. But what are they? How do they work, who can take advantage of them, and what are the opportunities and challenges related to ADUs? In a technical sense, an ADU is a legal, self-contained dwelling unit either internal to, or detached from the primary dwelling on the lot. ADUs come in a variety of shapes and sizes, and can reside on the same land as a single-family home, like a coach house, or can be a converted space on an existing property, like an apartment built over top of a garage or a converted basement apartment. ADUs have emerged out of the unique pressures and needs of many local housing markets. Increasing density in urban areas and low housing inventory has led to housing shortages and high-demand in many housing markets. In addition, many aging homeowners want to stay in the communities in which they’ve raised their children, yet may not be able to afford rising costs. And some Millennials often struggle to find housing in desirable locations that may be close to work. ADUs meet these unique needs by adding to the housing supply and diversifying the options available in certain high-demand areas. Once they’re up and running, ADUs can be used to house occasional visitors, or serve as a long-term housing solution for multi-generational families. Some parents looking to downsize will opt to move into the smaller ADU dwelling and allow their children’s growing family to take reside in the larger, core residence. And with the rise of property-share applications like Airbnb, ADUs can also be a great source of extra income through short-term rentals. While they can’t be sold individually as property, their income-generating potential can help increase a home’s attractiveness to future buyers. Unlike other urban development trends, the growth in ADUs has been driven principally by homeowners, as opposed to professional developers. To meet this growing demand, many states and municipalities have begun to ease building codes, making it easier to build ADUs. States like Florida, Texas and California have all embraced loosening restrictions on ADUs at either the state or municipal level, since making the building process easier can help alleviate pressure on local housing markets. ADUs can be built just about anywhere in the country, however it is important to fully understand local building codes in your area and how they apply. 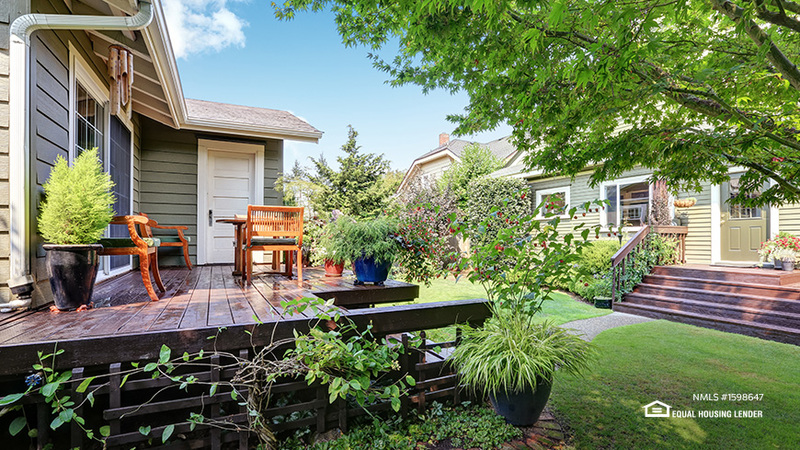 Renovation specialists at Guaranteed Rate Affinity are uniquely positioned to assist with Accessory Dwelling Units (ADUs). Their specialized knowledge of the building process and automated, digital process can help make financing the construction of ADUs a simple, hassle-free process. Peterson, Kol. Backdoor Revolution. Portland: Accessory Dwelling Strategies LLC, 2018.